Have you ever been out and saw someone wearing some shoes, or seen a player wearing some shoes in a game, and wondered where they got them? Or even saw some shoes and wondered how in the world they get those shoes like that? Customizing shoes is a thing, yes! A very big thing! 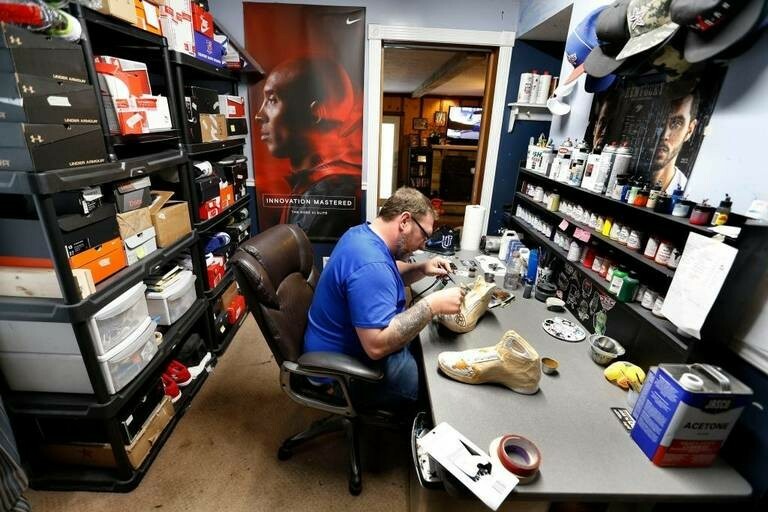 From the regular person or sports fans, to the athlete themselves, the “shoe game” is huge!, and I just happen to know a shoe guy, Billy Hobbs, owner of True Blue Customs. The first time I heard of Billy Hobbs and True Blue Customs, well…. 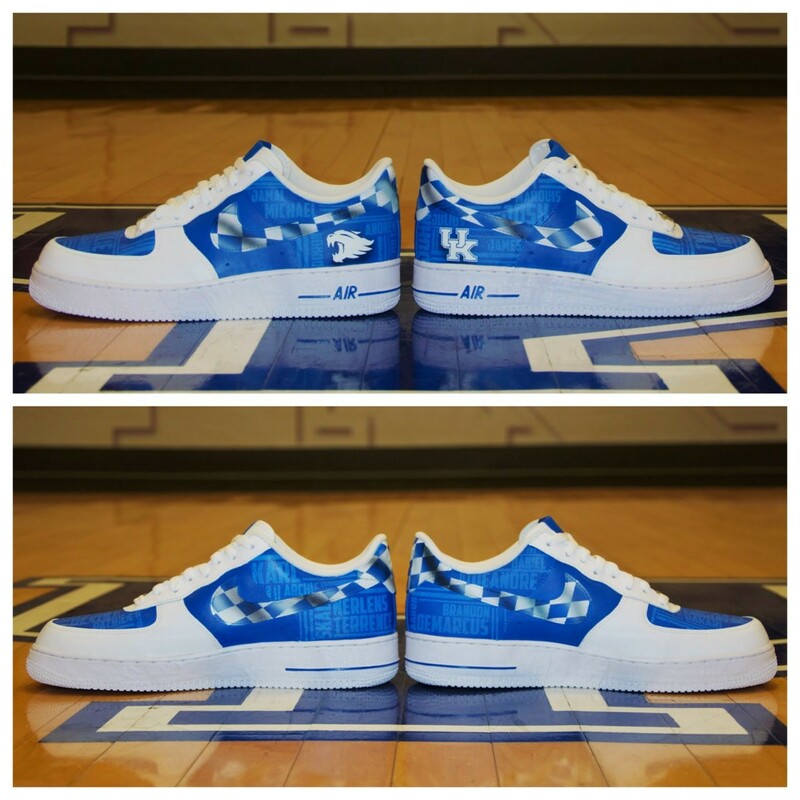 saw the product of Billy Hobbs, was when coach Calipari wore the custom AF1’s, made for him, by Hobbs. 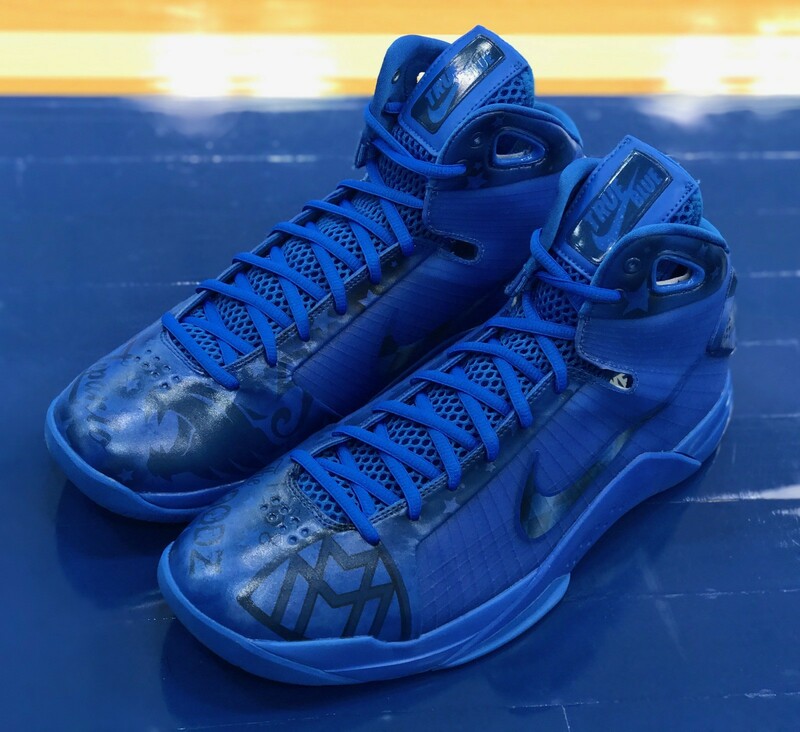 Those custom shoes were Kentucky Blue and White with the UK logos, and 30 former basketball players names, that had all been drafted into the NBA painted on them. When I saw those shoes, the questions in my head were, who did them? And, where could I get a pair? 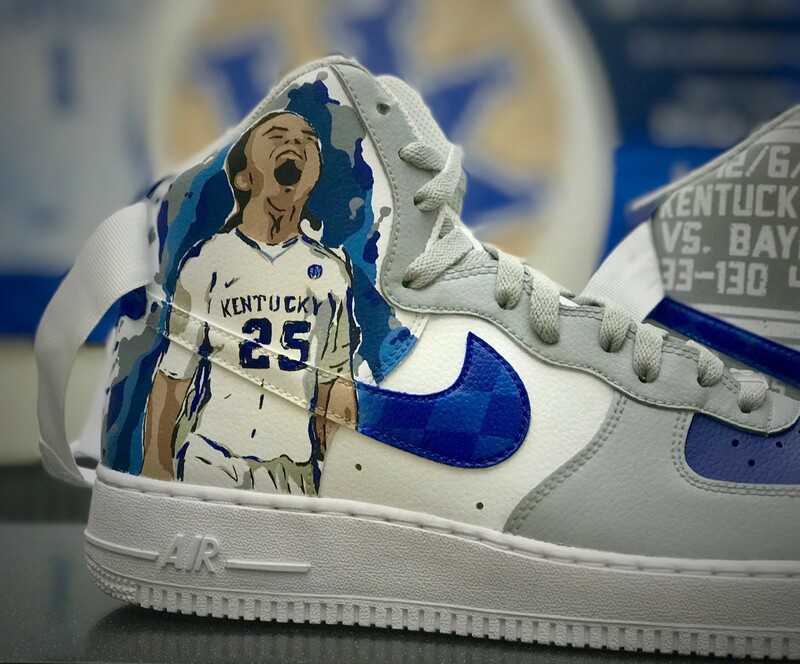 I’m a shoe guy myself, I love a good pair of custom kicks!, I’m also a huge Kentucky fan, so when I saw those Kentucky customs, I had to find out who was the talented person behind those shoes. After all, like my good friend Robert Johnson says,”I make shoe contact before I make eye contact”. 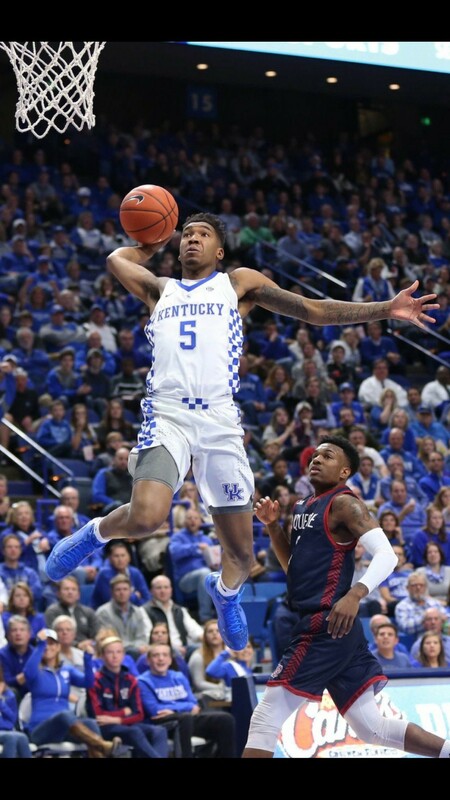 I had the pleasure in speaking to Hobbs in what was supposed to be an interview, turned to hour conversation, with a down to earth guy who has been down from day one with the Kentucky Wildcats. 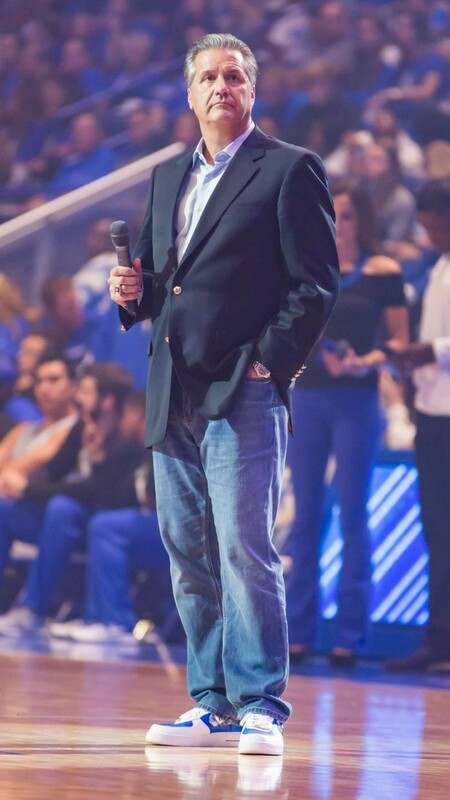 Billy Hobbs left a job at Pepsi to pursue his passion in customizing shoes. What once was a hobby, has turned into his business, True Blue Customs, and business is good, the list of clients long, and the shoe game booming! 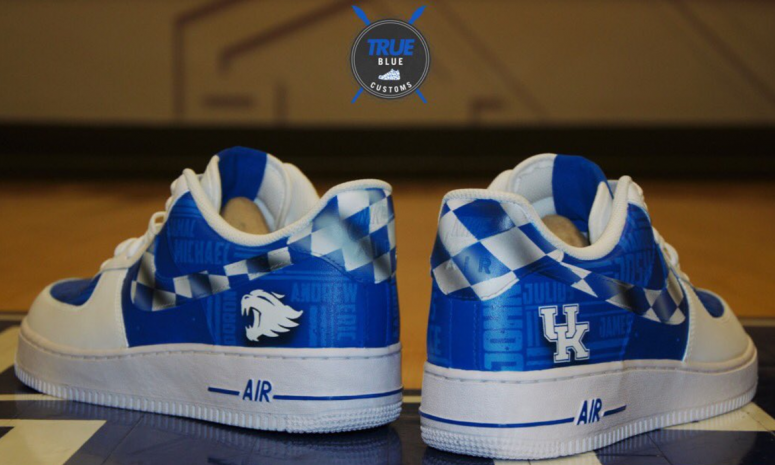 Name a Kentucky player!, they most likely have a pair of True Blue Customs. 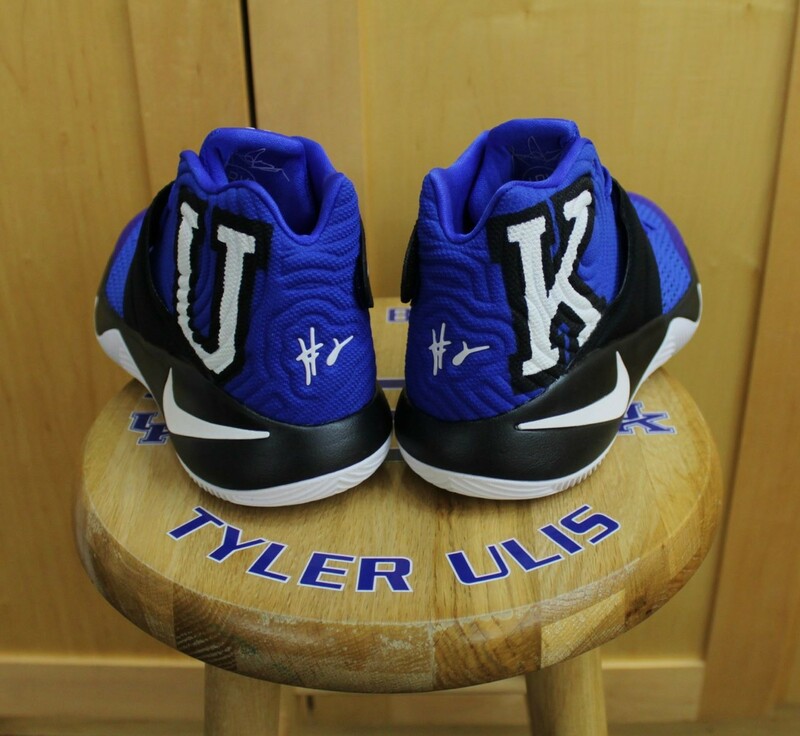 From Tyler Ulis, to Willie Cauley Stein, Bam to Monk, and alot in between, all have customs, made by Hobbs. The list goes on and on. Coaches to Players, Billy Hobbs is a busy man! 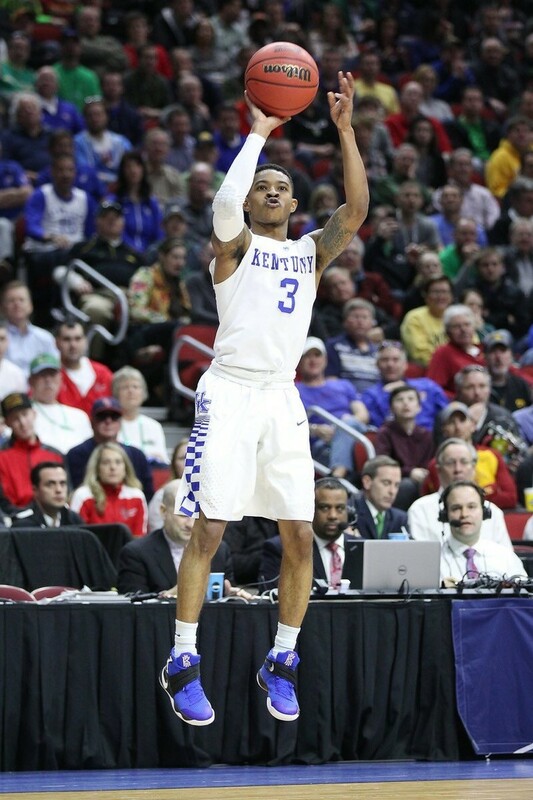 Next time you are watching a game, in any sport, whether college or pro, pay attention to the shoes. It might be in game 5 of the World Series!, It might have been last years number 1 draft pick, that went to Washington wearing some customs ! You will definitely see them in the NFL. You might have even seen them worn on a players college decision day! The shoe game is huge, and with social media, it’s snow balling. Customizing shoes is world wide, Hobbs is even doing shoes for a person in Dubai, and in Switzerland, that’s huge! Hobbs told me, “when you watch a game, look at their feet”. I already do that!, but I am defiantly gonna be on the lookout! 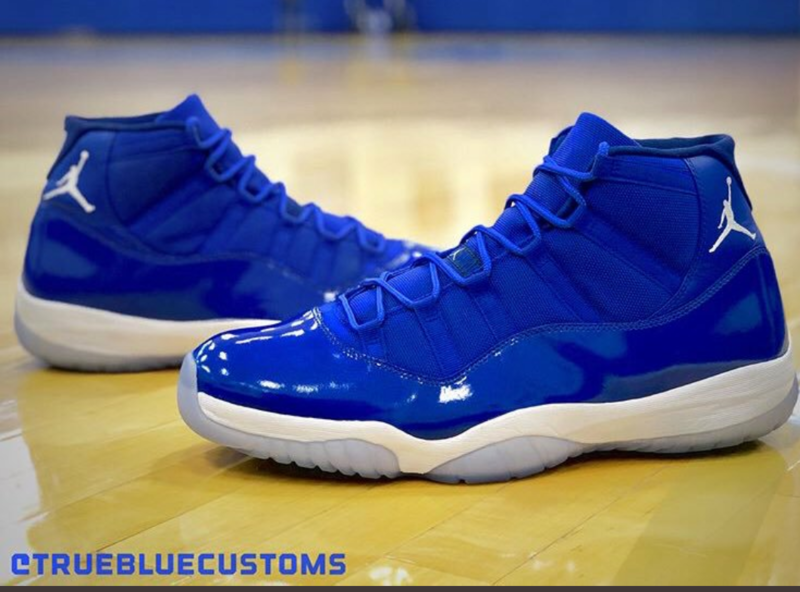 And you should to, because you never know who you might see wearing a pair of custom shoes made by Lexington Kentucky’s own! Billy Hobbs. I just want to thank Hobbs for taking time out of his busy schedule to talk, it truely was a great conversation. You da man!! Go Big Blue!